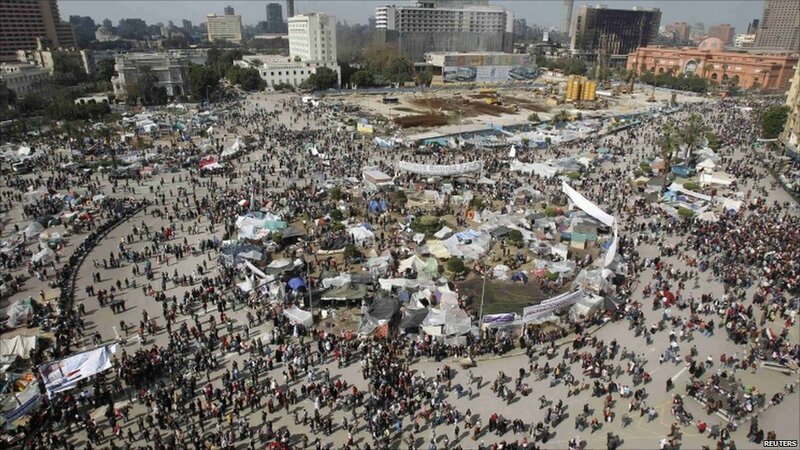 Hundreds of people have been celebrating the end of nearly 30 years of rule by President Hosni Mubarak in Cairo's central Tahrir Square. 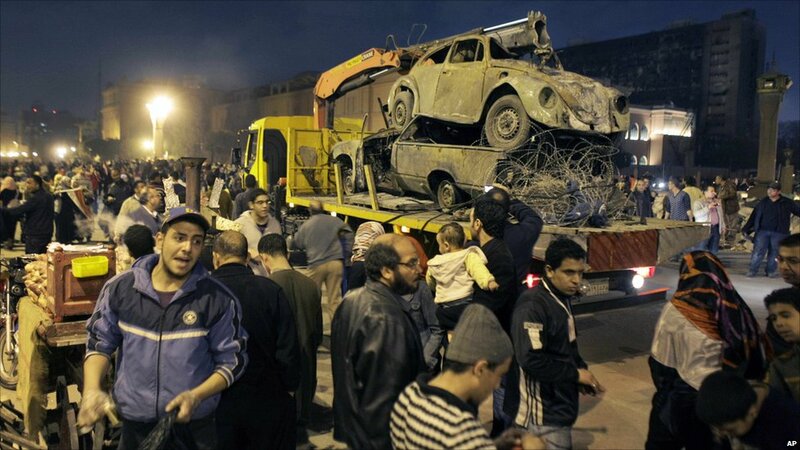 The party was still continuing into Saturday evening, as the last remains of barricades in the square were moved away. 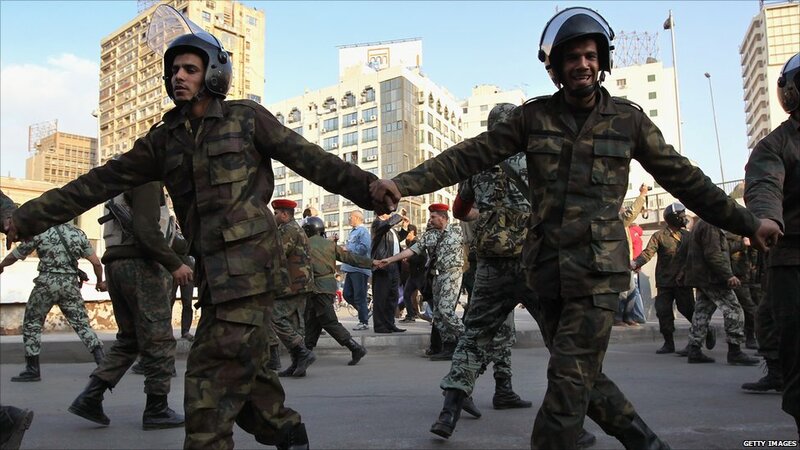 The army has been encouraging people to leave the square, and its own presence there has been reduced. In the morning, protesters woke up to digest the magnitude of their achievement - relayed by the media. 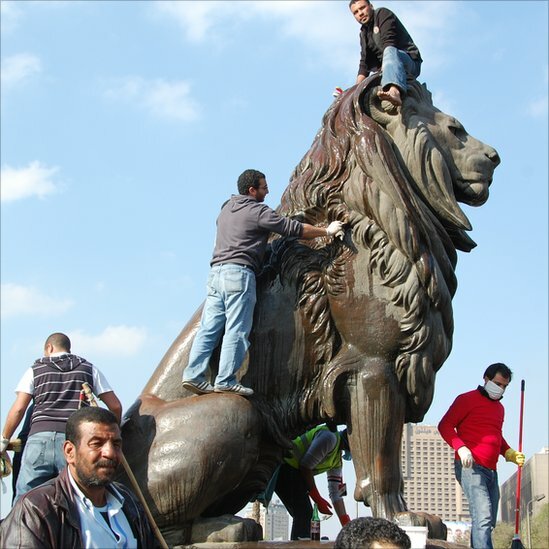 Throughout the day people came from all over Cairo to take part in cleaning up the square. Volunteers scrubbed paint and graffiti off walls. Those involved in the clean-up say they are proud to be rebuilding the country. 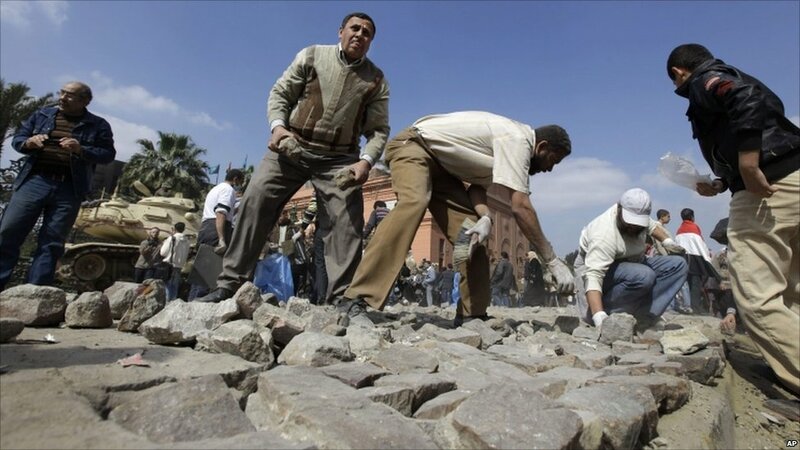 Outside the Egyptian Museum, just outside Tahrir Square, volunteers began laying back paving stones they had used as weapons. 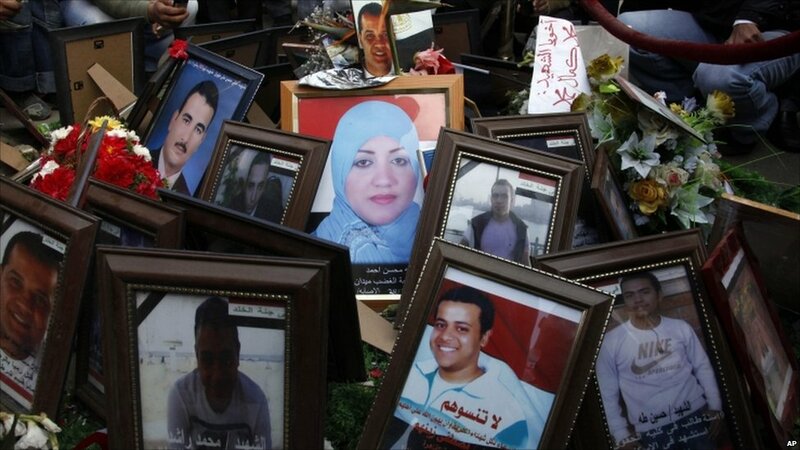 In Tahrir Square, meanwhile, pictures of those killed are displayed as a poignant reminder of the victims of what is now being dubbed the 25 January Revolution.